SKU: CS16317. Categories: Bodybuilding, Fitness. Tags: bodybuilding, fat burning, natural, weight lifting. 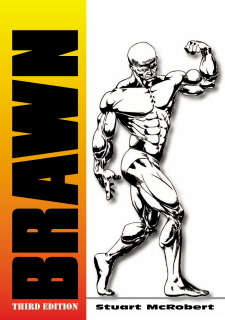 Brawn, third edition is the fully updated third edition of the classic book that created a bodybuilding revolution. 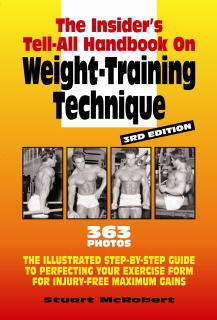 Most bodybuilding books are alike. They are typically a collection of photographs of bodybuilding superstars, together with training routines thatnever work for the average person. BRAWN is totally different, and directly challenges most contemporary bodybuilding advice. Most importantly, BRAWN focuses on the techniques, routines, and strategies that actually work for typical bodybuilders. Stuart McRobert has a degree in education, over 30 years of personal experience of physical training and studying training. He’s guided countless people with their training, and has had over 400 articles on training published in newsstand magazines. McRobert has a reputation for providing non-commercialized, honest instruction free of any association with the food supplement and exercise equipment industries. He also has a reputation for attention to detail, thoroughness, safety, and health that’s rare in the training world. In addition to have written four other books on physique transformation, he has edited a training magazine, HARDGAINER, for 15 years. McRobert has many years of conferring with colleagues who are strength trainers, coaches, chiropractors, and researchers.